As I detailed in 2012’s Snarlie Narlie entry, I’m a big fan of Tonka’s Rock Lords toys. It’s a collection I’ve been slowly chipping away at for several years, but in recent years, my collection has grown by leaps and bounds thanks to a few key finds. In today’s article, I’m detailing the latest remarkable addition to my Rock Lords collection. Basically, anything that was released by Tonka after the initial two series of action figures is incredibly difficult to find. 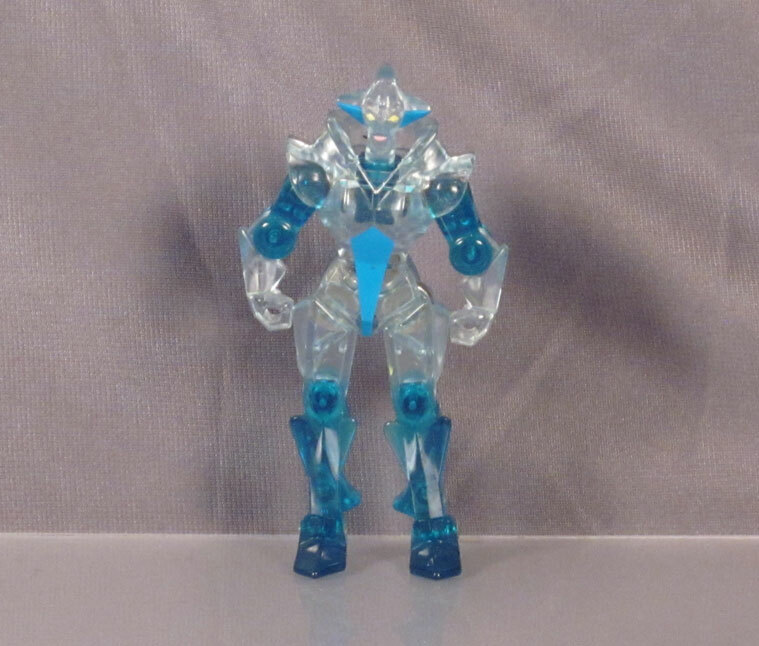 Series 3 contains a subset of figures known as “Jewel Lords.” These were still transforming stones like the previous series, but they were supposed to represent more precious rocks. 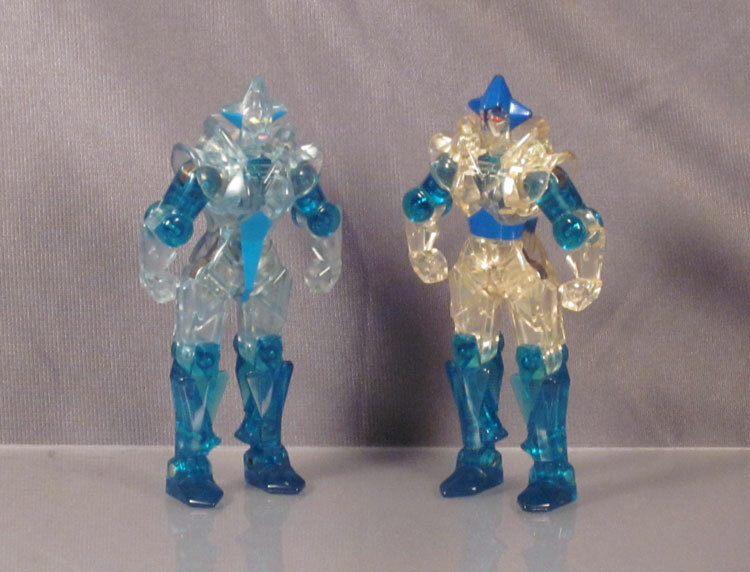 Like the rest of the Jewel Lords line, the three figures were initially released in Japan. Over there, they were known as Amberman, Rubyman, and Diaman or Diamondman. Once they hit the States, they were known as Sunstone, Flamestone, and Solitaire, respectively. Here is my loose example of a Rock Lords Solitaire figure. Lo and behold, she did get released, and while all three Jewel Lords are quite desirable, Solitaire is far more desirable a figure to be had than Flamestone or Sunstone. It took me a while to find one, but I did get one through a collection I found online. Sadly, none of my Jewel Lords have weapons, but the example of Solitaire I have is in very nice shape. I didn’t get a tremendous bargain, but I got her for what I believe to be a very fair price. However, you might find yourself asking, “Wait a minute, Ben, didn’t you say earlier that Solitaire was released in Japan as DiamondMAN?” Yes, I did, and that’s not a mistake. For some reason, in Japan, Solitaire released as a male figure. I know action figures in general place a heavy emphasis on trying to appeal to boys, but female characters were often very important on a lot of cartoons that were designed to sell toys. And the sculpt is exactly the same, too, so the features that make Solitaire look clearly like a female Rock Lord are still present. Diamond...man? Here's what Solitaire looked like in Japan! However, unlike the other two Jewel Lords, Diamondman is quite a bit different than Solitaire. A different type of clear plastic is used to create the diamond effect. Solitaire has yellow eyes, Diamondman has red eyes. Diamondman also has a deep blue paintjob on his (her?) head, suggesting that the design is like a crown or helmet or something, whereas with Solitaire, it appears to be more of a feature of her character. Here's a side-by-side comparison of both versions of Solitaire. You can go nuts collecting certain action figure lines. I’ve found that many of the toy lines I enjoy collecting often have pieces that were released only overseas, so while flea markets, yard sales, and local toy shows are my primary means of amassing my collection, items that were never released here are much more difficult to find. For those pieces, the only thing I can do short of moving to one of these countries is buy them directly from other collectors and pay full retail price (which I justify since it’s less than the cost of a plane ticket and a hotel room). 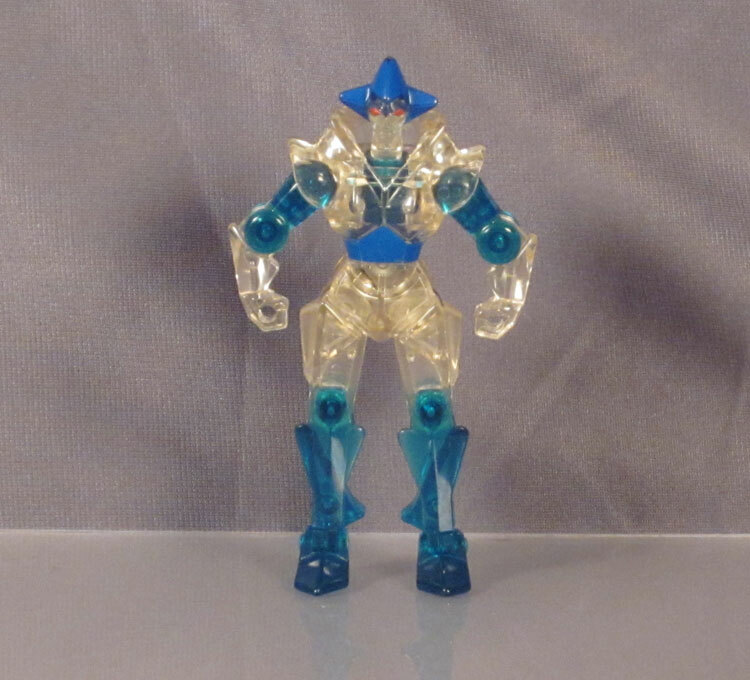 In other words, I never expected to own Diamondman, or at least get one at an affordable price. While one foreign exclusive piece in particular (the mighty Fossilsaurus) is on my most wanted toys list and has been for years, here I am taking pictures of the two figures side-by-side for your viewing pleasure. How did this happen? Three days before Christmas, my sister and her boyfriend ventured to one of the local flea markets here in New Jersey. We were about to do a fairly normal person holiday activity together once they got home, but when they arrived, I got an excited call from downstairs saying, “Come take a look at what we found!” And there was Diamondman, staring at me. My sister knew well enough that she had found one of the elusive Jewel Lords, but she didn’t know she had found the Japanese exclusive variations. The figure was in a bag mixed in with a bunch of odds and ends that clearly came from Japan. It was not being sold by a toy dealer but rather a video game dealer who had imported a few games. Given the low, low price of ten bucks for the entire bag, my guess is that they were much more well-versed on the video game market than the toy market. So yes, I have both versions of Solitaire, and the much more difficult to obtain version ended up being found for much less money than I would have expected. The lesson? Educate your siblings AND don’t underestimate your local flea markets, even in the bitter cold and right before Christmas! This entry was posted in 1980's, Action Figures, Ben, Toys. Bookmark the permalink.